Well that confirms it, with the arrival of chicks, spring is here. Sixteen hatched easily and quickly – which is the way we like it. And this is good news for Eddie our Rhodie cockerel, as it confirms his position within the flock. We set 24 eggs, 6 were blank – a fairly high ratio but he is outnumbered by a fairly large number of hens. I realise we could improve fertility rates by putting him with just 2 or 3 girls, but I’m not keen – a hen can be fairly battered and sometimes injured by being the centre of a cockerel’s attention, and by running him with his usual harem; birds I have put with him on purpose to breed from, the flock is settled, and there is no time wasted waiting for everyone to re-establish the pecking order. It’s easier and we accept the loss of some blank eggs in the hatch. I like to get a hatch on fairly early, just to ensure we get the birds I want to breed this year. We gambled that we would have a broody to raise them before the twenty one days were up – but no broody – so I shall have to hand rear them. The plus side of this is I get chick-cuddles. 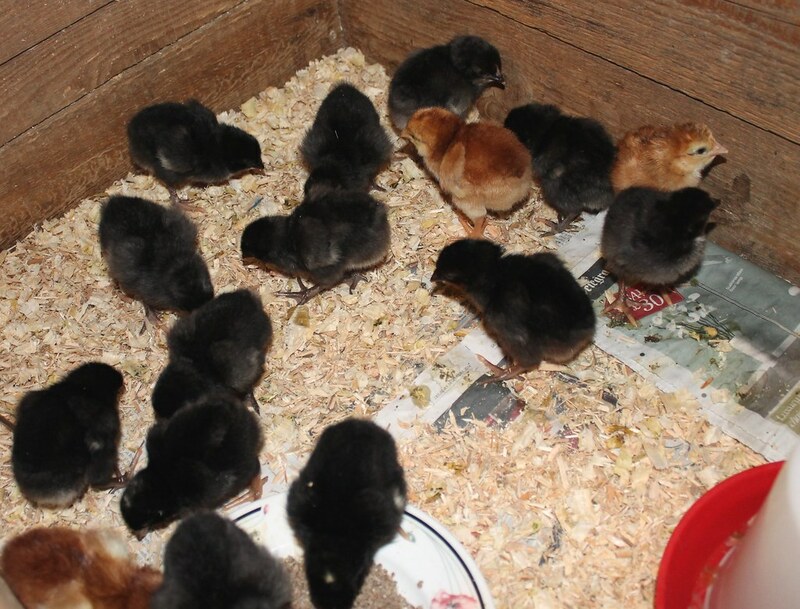 Eight to ten hens is adequate numbers for one male to get max hatch rates. The reason many pure breed breeders use pairs & trios isn’t to increase fertility but to minimize genetic variation. I know I haven’t commented before but I do enjoy reading your blog. 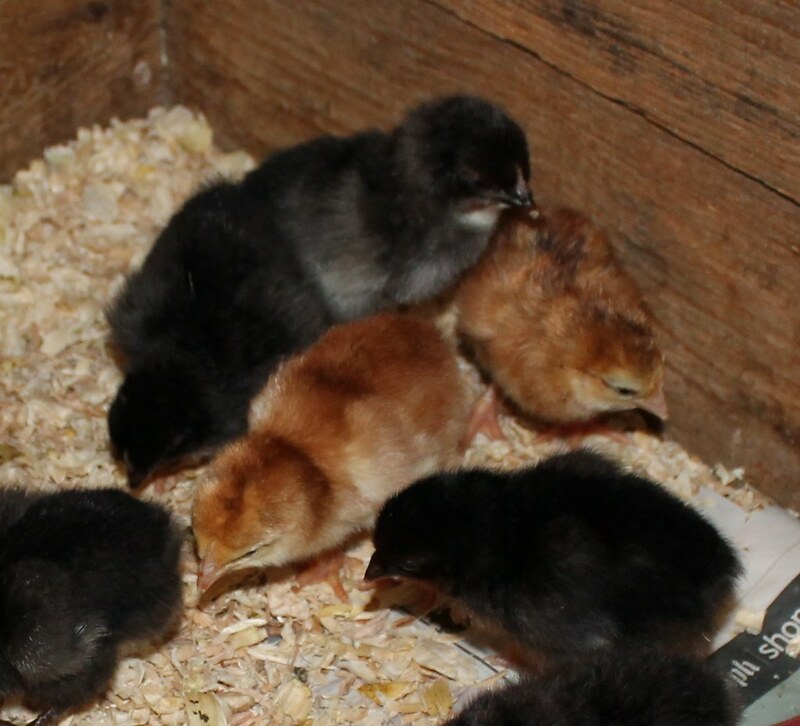 yes good point – I can see 1:2 if the breeder wanted to be even more specific about the breeding pair – and I guess one of the hens could just be for company and have easily identifiable eggs/chicks that could be excluded from the plan. And that needs to be weighed against the hassle factor, how content the birds are etc. It is a balance, I suppose. Lovely little creatures, I bet they help you waste some time…. they are time wasters indeed. If ever I am a bit ‘blah’, I just go check on them again…..
Awwww – our duck decided motherhood was not for her and abandoned her eggs so no sign of anything small and fluffy here for a good while yet.